Product prices and availability are accurate as of 2019-03-20 21:42:07 EDT and are subject to change. Any price and availability information displayed on http://www.amazon.com/ at the time of purchase will apply to the purchase of this product. LASCO Plumbing Specialties uses the LASCO-Simpatico brand for their residential plumbing products. 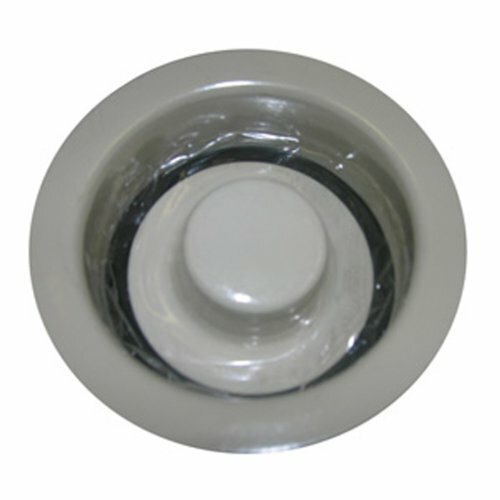 This is a LASCO-Simpatico 30155AL Stopper and Flange Set, Fits Insinkerator Garbage Disposal, Brass, Almond Finish . Stopper and Flange Set, Fits Insinkerator Garbage Disposal, Brass, Almond Finish. Almond finish. Garbage disposal. Stopper and flange. Exposed trim. Replacement for Insinkerater.